HAPPINEZ Festival – Win free tickets now! This entry was posted on August 10, 2017 by MAV Europe. 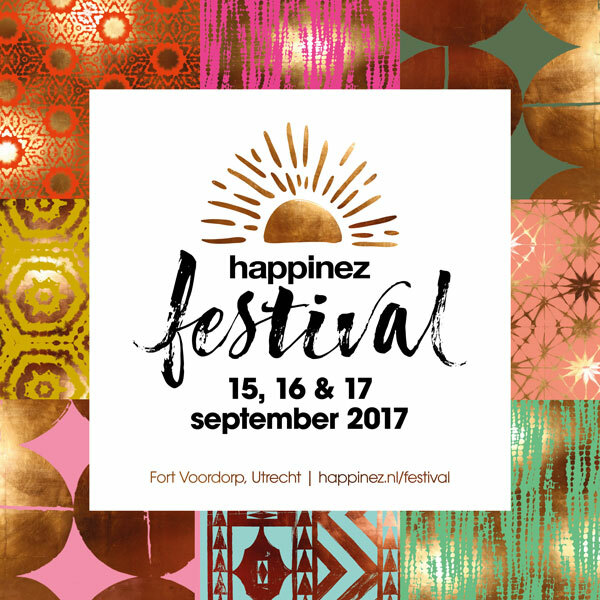 “Happinez”, the popular mindstyle magazine, is organising yet again its popular festival in Fort Voordorp, Netherlands, near Utrecht this year. We at Maharishi Ayurveda will be attending for the second time. You may look forward to a lively festival feel, great atmosphere and amazing offers, such as yoga sessions, music, workshops and international speakers who will talk about holistic life topics. An exciting program, delicious food and colourful market stands are awaiting you. We at Maharishi Ayurveda are looking forward to greeting you in person at our stand and to giving you a small gift. And it’s on us! Send us an email at map@ayurveda.eu or contact us via Facebook (https://www.facebook.com/ayurveda.products.europe/). Write “Happinez Festival” in the subject line and you will have a chance to win two free tickets to this fantastic event. Also: This year at our stand, an internationally known Vaidya (Ayurveda expert) will offer a free pulse diagnosis and give you valuable health tips.